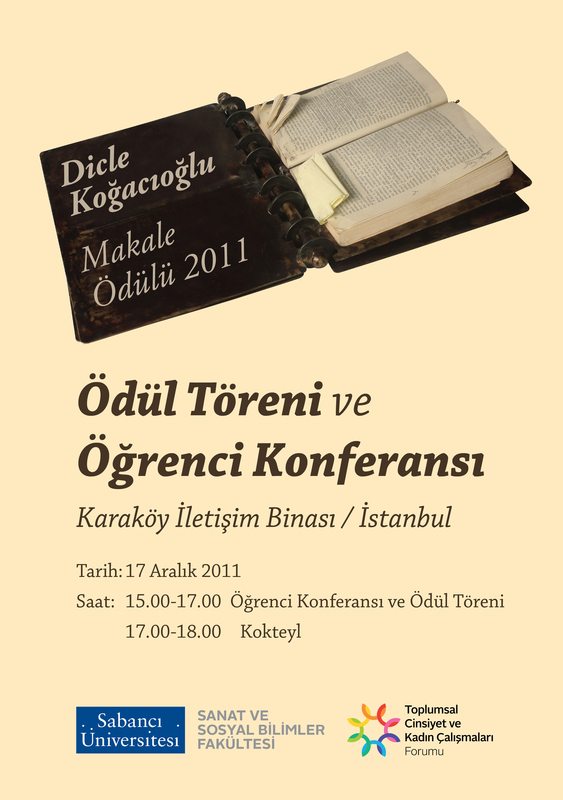 Sabancı University Faculty of Arts and Social Sciences and Gender and Women’s Studies Forum proudly announce the second graduate student conference in memory of Dicle Koğacıoğlu to be held on December 17, 2011, at Karaköy Communication Center. All university members are kindly invited to the award ceremony that will take place after the presentation of the award-winning articles. Please note that the conference language will be in Turkish. For further information visit //genderforum.sabanciuniv.edu or contact Ayse Yuksel (ayseyuksel@sabanciuniv.edu) or Olcay Ozer (olcayozer@sabanciuniv.edu).